I spend a lot of time looking at every corner of Indian store here and I wonder about new vegetables that I have never tasted. 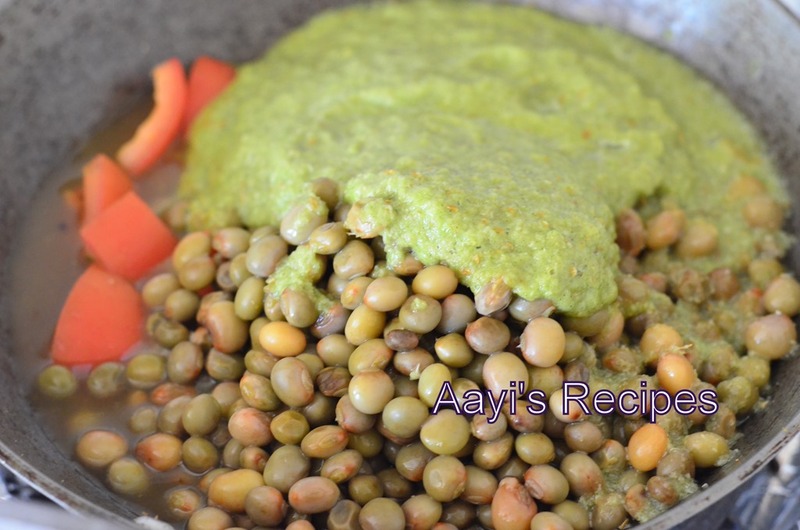 Almost during every visit, I saw these frozen pigeon peas and wondered what to make with them. Then I saw my friend P making this delicious subji with them. She mentioned that her family loves these. They look almost like avrekalu(val) but do not have the slight bitter taste. They taste delicious. So I have been making this dish regularly. Cook tuvar lilva and keep it aside. Heat oil and fry coriander seeds, cumin seeds. 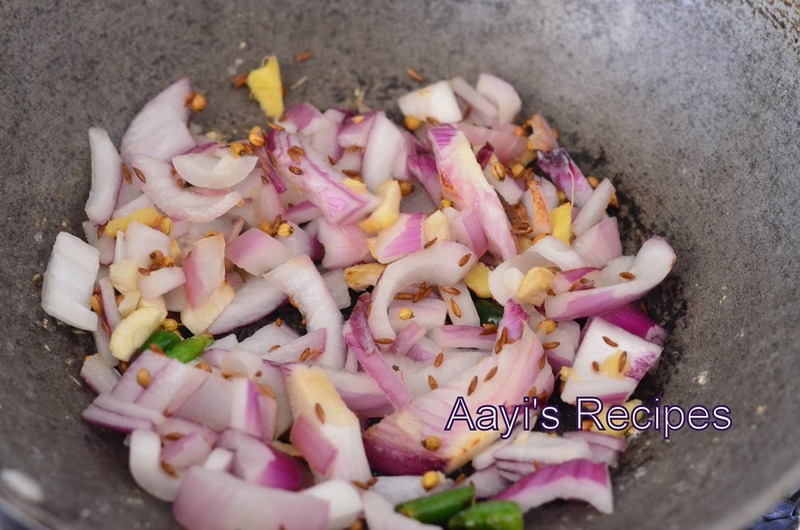 Add ginger-garlic, green chillies, onions. 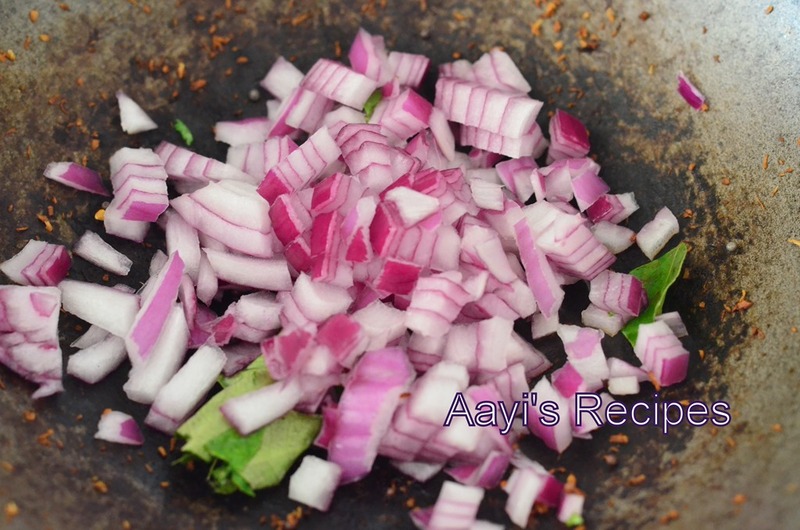 When the onions become translucent, add coconut. Fry for a min. 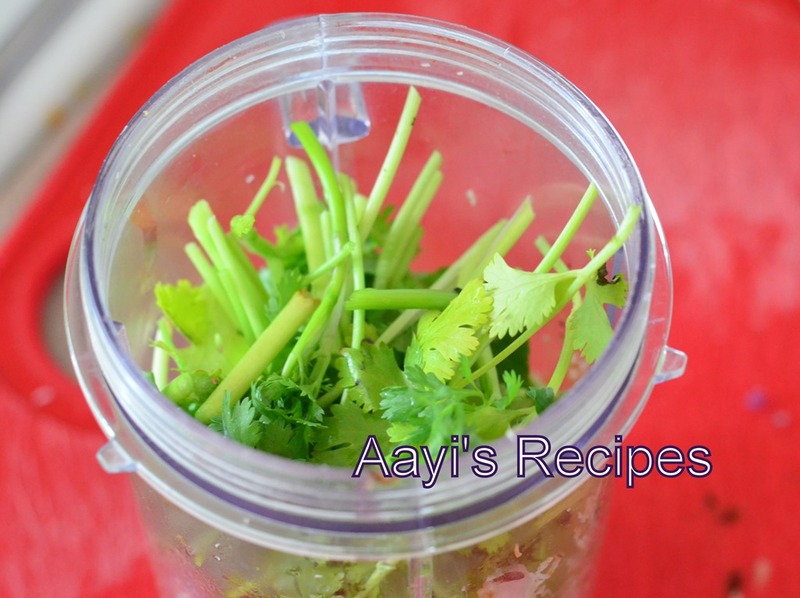 Grind with coriander leaves to a smooth paste. Heat a little oil, add mustard seeds. When they start popping, add curry leaves, onions, turmeric. Fry for few minutes. Then add tomato, cooked tuvar and the paste. Add salt, cover and cook till done. PS: You can also use dried pigeon peas for this if you don’t find frozen ones. Soak them in water before cooking. 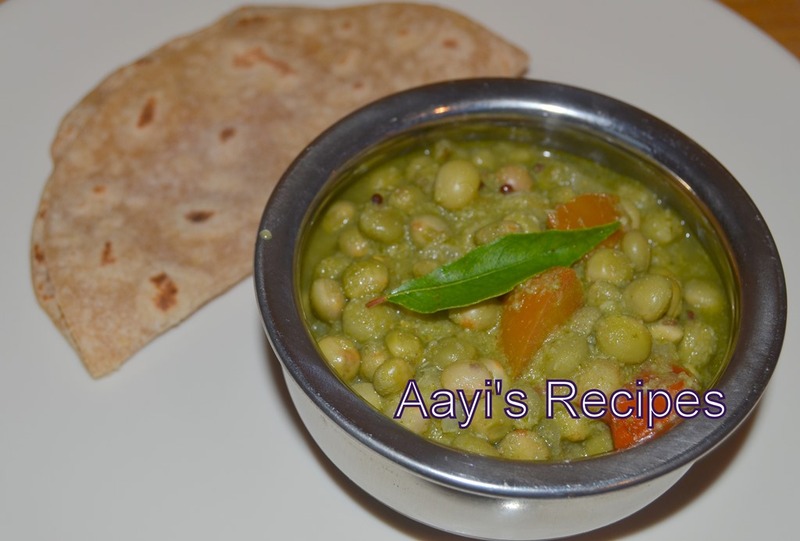 If you do not find pigeon peas, use some other kind of peas, the taste will be different due to the kind of peas used. Hey Shilpa, Looks yummy will defintely try this ..
Shilpa, Loos great, I like that it as a gravy. 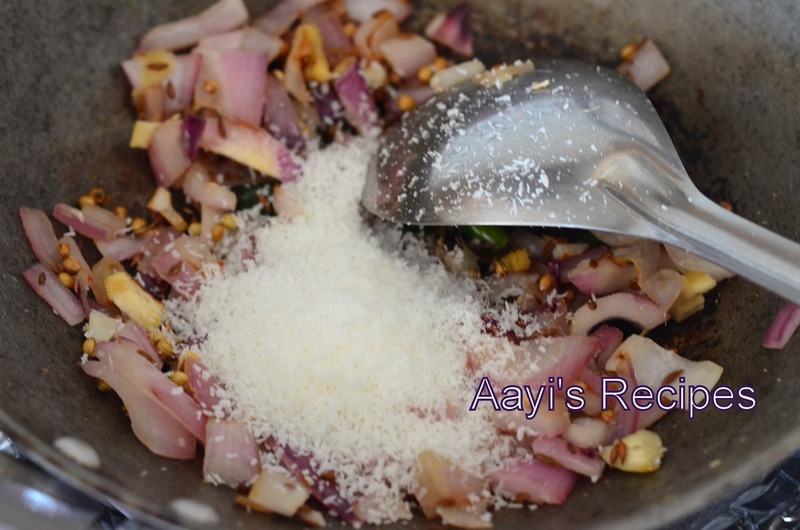 I make this with Undhiyo masala / paste. Tastes good and has a hint of ajwain. Excellent! 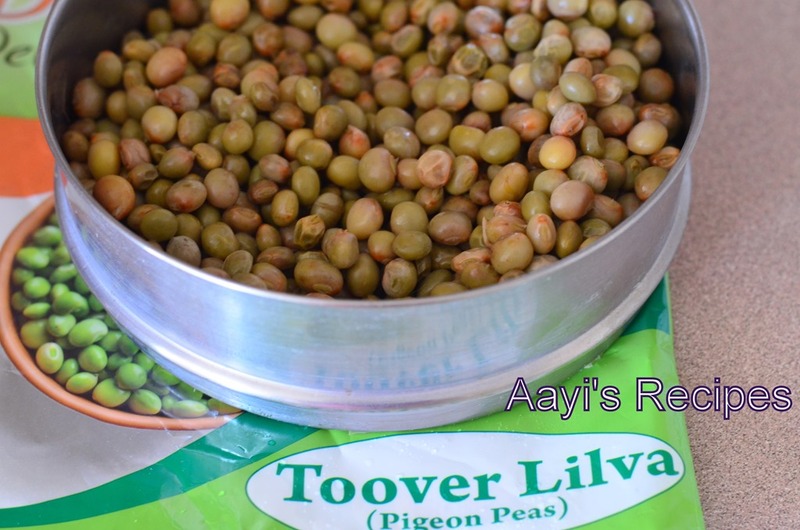 Isn’t pigeon peas called togari kayi in Kannada. Where did you get it? I am reminded of togari kayi bath, saaru and upma, the same way avarekalu is used. But I think avarekayi has more fans than togari kayi. What do you say? Sorry, never seen togari kayi and yes, I think it is togari kayi because that is what the name translates to :). I got it in Indian store here. Yes, I have heard about avarekayi a lot, not much togare kayi :). Thanks for providing this beautiful recipe. Happy Navaratri to all of you. Looks really tasty and new to me, I will certainly try it. Thanks for this new recipe. Different…but looks so yummy and inviting! Now I will surely try this dish..it looks so yummy!!! and it tasted good. The taste of corriander leaves ground in a gravy is something that I haven’t had before . Loved it .